I found a very enthusiastic Let’s Play of Mecha Dress Up Game, which is that one game I made in 2008 (!!!). It’s cool to see people still digging up my old stuff. I had a lot of ideas for a sequel to the game – too bad I never got round to it after actually learning how to program properly. This entry was posted in Mecha Dress Up Game on September 12, 2016 by Matt Roszak. Your old games have something. Something nostalgic, something so simple, that it’s beautiful. Thank you for doing them long ago. 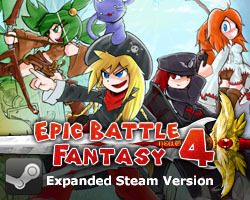 This reminds me: I’m surprised EBF (or more specifically EBF3/4) isn’t played more by Let’s Play-ers. It’s not something that bothers me much, but I thought it was a fairly well known game. It’s certainly very high in quality and would be ideal for those types of videos, but hey. EBF should be recognized by all people! Everyone should know these awesome games- they make your life better! Without a doubt one of my favourite games, it’s still astounds me that it’s all made by one people (bar the soundtrack). I’ve got more playtime out of EBF than out of any popular titles or releases for any platform. 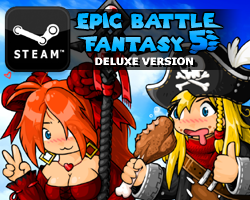 i think this game was my second game of yours that i played after ebf3 and it was quite fun. i didn’t realise how many references there were back then compared to now. and oh ma god, that’s a chainsaw d!$k . I sorta want there to be a second one or like create a character one that would be cool. actually have you thought about making a second one? yep. some were pretty awesome. it kinda looked like a big mess towards the end b/c of all the big add-ons. I kind of envy you. You made something of this caliber in high school, while I couldn’t be arsed to figure Flash out or buy/”buy” it.